The service point operation is moving from Church Street to the city's Town House. 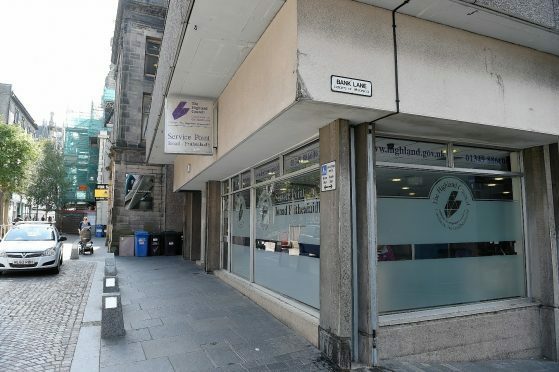 The council’s Church Street service point in Inverness is moving a grand total of 100 yards – to the Town House. The entrance to the new facility at the refurbished gothic building will be on Castle Street. There will be a separate public entrance from the existing Town House reception area. To allow the move to take place the Church Street service point will close at noon on Friday. The Town House facility will open for business at 9am next Tuesday. It means there will be no local service point provision on Monday. Any customers needing access to council services that day is advised to use the authority’s website at www.highland.gov.uk/online or phone the service centre for assistance on 01349 886606. The move is a result of the current lease expiring on the Church Street premises. Members of the council’s resource committee approved the decision to relocate in August last year. Council staff affected by the relocation and their respective trade unions were consulted prior to work starting on site at the Town House in October last year. The spokeswoman said staff had been involved in the design and layout of the new service point to ensure that it meets business needs and the needs of customers who make use of the facility. The new premises should provide enhanced customer facilities with an improved queue system and self-service facilities to better suit customers’ needs. Entry to the new, self-contained unit within the Town House, will be via a door to the left of the existing side entrance on Castle Street. The iconic A-listed building is currently undergoing a £4.2million refurbishment. The work is backed by £800,000 from government agency Historic Environment Scotland but largely funded by the city’s common good fund.